Fairy tales must be told. How else will we ever find our way through the woods? Cabinet des Fées is pleased to celebrate with you the release of our 9th issue. Inside we have work by Keyan Bowes, Joshua Gage, Megan Arkenberg, Sarah E. Colona and many other fine writers who have shared their worlds with us. First, we must extend a heartfelt thanks to Nin Harris and Aria Nadii for all of their hard work on the new site design and the mechanisms that make it work. Over there in the sidebar you’ll find the full table of contents for Scheherezade’s Bequest, our tri-annual offering of fiction and poetry. 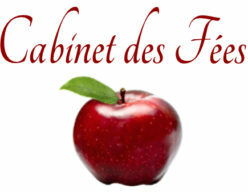 Also in the sidebar you’ll find ways to connect with Cabinet des Fées elsewhere on the web. We’ve now got a Twitter account, a Facebook page and a Tumblr blog as well as our long-neglected Livejournal. While we have consistently sought to present a diverse array of stories here in CdF, this particular issue is not for the faint of heart. You will find blood, guts and curses, women woken to dust, depravity and even a beauty left sleeping. As most of our readers know, there was a time when fairy tales were dark and bloody affairs, when happily ever after was almost unheard of. These tales rang true in ways some later versions could not. In issue 9 we have attempted to capture that truth. We have featured The Wolf I Want by Virginia M. Mohlere—a lengthy story that reaches deep into the heart of desire. We are also very pleased to feature Fantastic Voyages: By Ship to Nowhereland and Back, a multi-part article on “The Imaginary Voyage as Fairy Tale” by Jim Bloom. In the new reviews category we take a look at work by Angela Carter, Sylvia Plath, Maggie Stiefvater and Yehuda Koren and Eilat Negev. Lisa Stock talks about her new film, Brother and Sister, in storytellers, and Kate Wolford gives us Andersen, Feet, and Hell’s Waiting Room in essays. We have other good news to share as well. Charles Vess has provided the artwork for our 3rd and final print issue. We are working on the cover design now and will keep you posted on our progress as we prepare the issue for publication sometime this year. It has been a long time coming, but I promise you it is worth the wait. We’ve got more reviews lined up for the coming weeks and I’ll be putting up the illustrations from Little Fairy Tales, published by McLoughlin Bros., New York circa 1902 as part of my mission to bring more artwork to the site. In the meantime, send us your own fairy tale news and reviews and we’ll add them to the site. As always, we thank you for stopping by.